This paper presents the Latin American Spanish Discussion Forum Treebank (LAS-DisFo). This corpus consists of 50,291 words and 2,846 sentences that are part-of-speech tagged, lemmatized and syntactically annotated with constituents and functions. 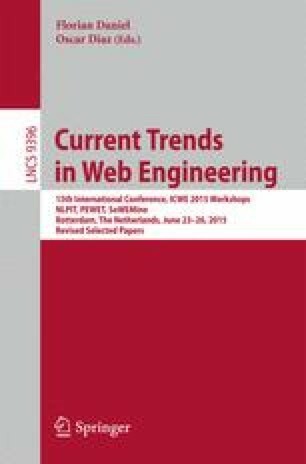 We describe how it was built and the methodology followed for its annotation, the annotation scheme and criteria applied for dealing with the most problematic phenomena commonly encountered in this kind of informal unedited web text. This is the first available Latin American Spanish corpus of non-standard language that has been morphologically and syntactically annotated. It is a valuable linguistic resource that can be used for the training and evaluation of parsers and PoS taggers. This material is based on research sponsored by Air Force Research Laboratory and Defense Advanced Research Projects Agency under agreement number FA8750-13-2-0045. The U.S. Government is authorized to reproduce and distribute reprints for Governmental purposes notwithstanding any copyright notation thereon. The views and conclusions contained herein are those of the authors and should not be interpreted as necessarily representing the official policies or endorsements, either expressed or implied, of Air Force Research Laboratory and Defense Advanced Research Projects Agency or the U.S. Government.